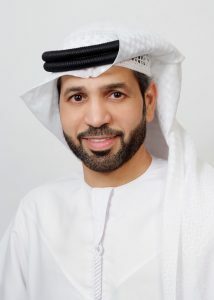 The National Association of Freight and Logistics (NAFL), the oldest association of freight and logistics service providers in the Middle East, has announced the appointment of Abdullah bin Khediya as the General Coordinator of the association to support NAFL’s objectives aimed at promoting the importance of the UAE as a global hub for cargo and logistics sector. The appointment comes after the approval of Highness Sheikh Ahmed bin Saeed Al Maktoum, Chairman of Dubai Civil Aviation Authority (DCAA) and Honorary President of NAFL, due to Khediya’s extensive experience of over 25 years in the field of shipping and logistics in local as well as international markets. Nadia Abdul Aziz, CEO, said the decision to appoint Khediya will support NAFL to implement its strategies toward further strengthening the freight and logistics industry in the UAE. Bin Khadeya, Head of Cargo Services, Dubai Airports, thanked His Highness Sheikh Ahmed bin Saeed Al Maktoum for his support and confidence in him and said he will put in best efforts in terms of supporting conferences and activities by NAFL on an international level. The UAE is a hub for freight and logistics, with its world-class infrastructure, ease of conducting business and facilities to ensure smooth trade. Established in 1992, NAFL’s main goal is to ensure the UAE’s leading position and Dubai’s pre-eminence in the international freight and transportation fields. NAFL is a member of FIATA, the International Federation of Freight Forwarders Associations, based in Zurich, Switzerland. The committee organises a range of activities, seminars, conferences and training sessions throughout the year, attracting major players in the UAE’s freight forwarding, shipping and logistics. Providing training in the industry has always been an important part of the NAFL’s operations. It has established a training facility within its headquarters, where Emiratis can study the globally recognised FIATA Diploma in Freight Forwarding on scholarship.